When lottery players purchase tickets, they hope to win the jackpot but deep inside they know that they would gladly settle for the second-tier prize. In most cases, such a win would translate into tens of thousands of dollars being won, which is more than a consolation prize for those who failed to match all the winning numbers. The idea of winning the main prize is uplifting, but the prospect of winning the same lottery jackpot twice is simply mind blowing. 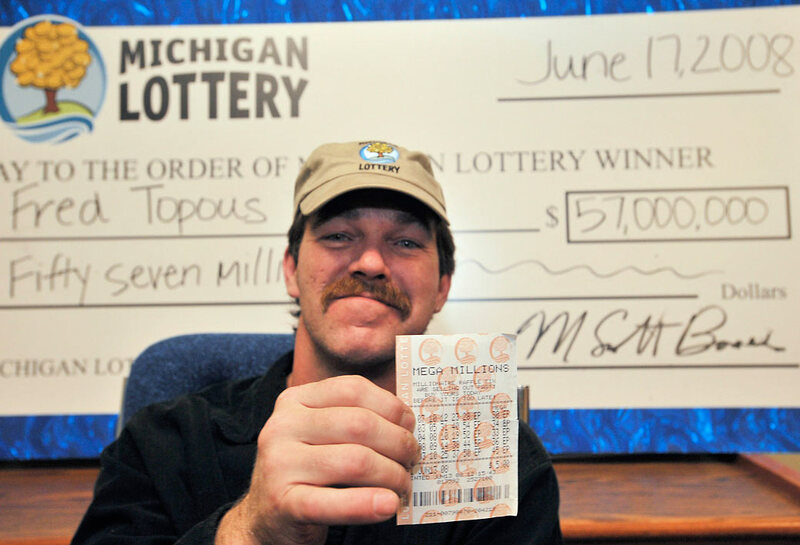 A Barrytown resident proved that it is possible to win the Michigan lottery two times in a row and he won a combined $2.3 million. The lucky man goes by the name of Joseph Palmarchuk and in the first half of 2012, he scooped a jackpot worth $1 million. This event made him richer and boosted his confidence, but the lottery winner had no intention to stop playing and he doubled his efforts. Lady luck smiled benevolently upon him a couple of days ago when he won another $1.35 million in the same lottery. He was pleasantly surprised to find out the next day that he matched all the winning numbers and his newfound wealth will be placed safely into a bank account. Joseph has no reason to splash out at 66-year-old and with plenty of money left from his previous jackpot win, he intends to ensure a better future for his children and close relatives. The Michigan lottery winner has children and grandchildren that could use that money and he plans on spending a large chunk of his profits to look after his family. With winter coming in a matter of weeks, he plans on buying a condominium in a warmer state, but he intends to return home once the cold weather is gone. One thing that the lottery winner will also do is travel, although it is yet uncertain whether the retiree will go beyond borders or travel mostly nationwide. The good news is that he has total freedom in making this choice as money is no longer of the essence and as a retiree, he has plenty of time on his hands. When asked whether he plans on purchasing lottery tickets in the foreseeable future, Joseph told the reporters that his passion for the game is very much alive. In fact, he is so optimistic as to claim that he expects to win another prize in a not so distant future, although he has little hopes of scooping another jackpot.